Yie Ar Kung-Fu was an early pioneer in the genre of fighting games. 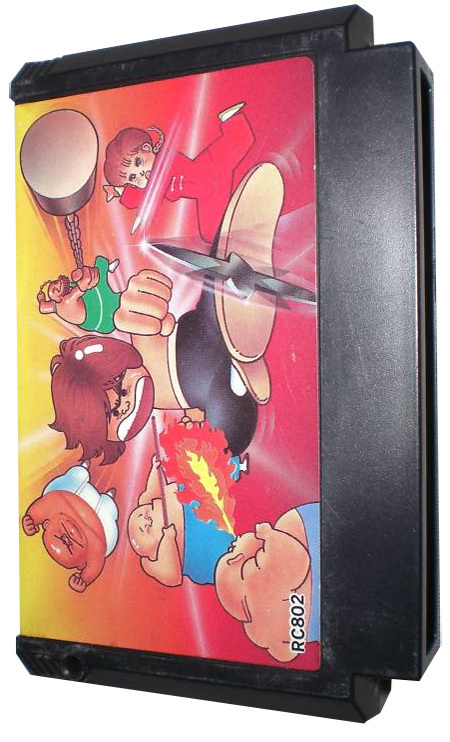 It originated as an arcade game in 1985 and was subsequently ported to various platforms. Lee, controlled by the player, must fight all the martial arts masters in the game (eleven in the arcade version; five to thirteen in the home ports) with his bare hands in order to win the title of "Grand Master" and honor the memory of his father. A variety of punch and kick blows are are executed by combining joystick directions with one of the buttons (punch or kick). Lee also has the greatest jumping ability of all the game's fighters.